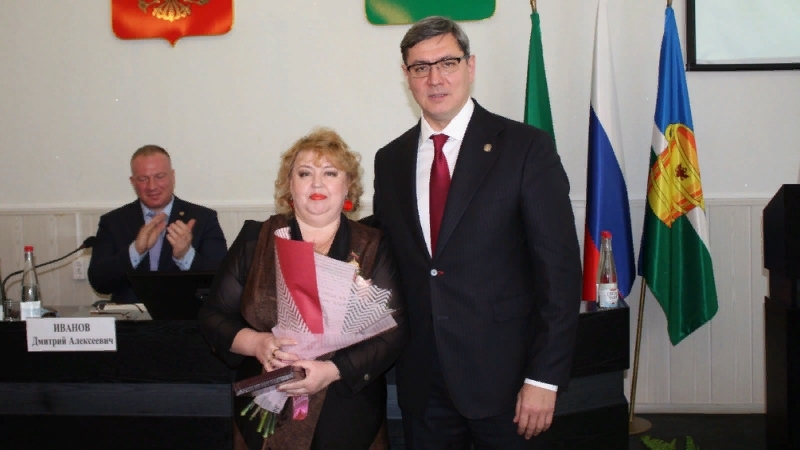 On February 15, Tatarstan Minister of Informatization and Communication Roman Shaykhutdinov took part in a meeting of the Council of Chistopol municipal region of the republic, which summed up the results of social and economic development of the region in 2018 and set tasks for 2019. Head of the region Dmitry Ivanov made a keynote report and said that the gross territorial product of the region amounted to 19 billion roubles (105 per cent if compared to 2017) and the housing construction - 1.2 billion roubles in 2018. Deputy Prime Minister of the republic - Tatarstan Minister of Informatization and Communication Roman Shaykhutdinov spoke at the meeting and noted the local citizens actively used e-services in 2018. As many as 178,000 cases of received services using the Portal of State Services of the republic. He also raised other issues, concerning People’s Control system, digital television, etc. At the end of the meeting, Shaykhutdinov handed in diplomas to the most distinguished citizens of the republic.